A fire breakout can be one of the most devastating things that can happen to someone. All it takes is an electrical malfunction or a cooking pot left unattended for a spark to turn into a fire that burns down everything. It can be a very difficult time for a property owner to know the right thing to do at such times. If you ever find yourself in such an unfortunate circumstance, call Fort Lauderdale Water & Mold Damage - the most reliable fire damage restoration services in Fort Lauderdale, FL area. We will arrive within a few minutes and work with you to remediate the damage and restore your property to the pre-loss stage. The most obvious damage is the destruction of property due to burning. Your furniture, walls, cabinets and other possessions is left burnt and charred. There is little that you can do in the event of the fire damaging everything. However, when you call us on 954-374-6206, we can help mitigate the damage to a great extent! Also, we work super fast. We know that with every passing hour, the extent of the damage only increases, and we do everything possible to salvage whatever we can. Apart from the burning, you will have to contend with smoke and soot as well. 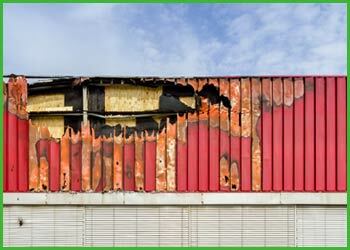 Fire damage can leave behind residue, which if not treated early on can cause a host of issues. The smoke can get deep into your property and stain your possessions. Toxic odors can sweep through the property and linger for a long time if not attended to immediately. 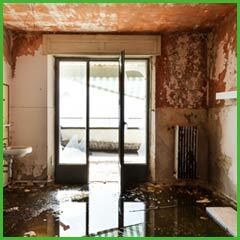 Fort Lauderdale Water & Mold Damage can thoroughly clean the house and ensure that it becomes livable again. While fire and water damage may seem to be at opposite ends, they can occur simultaneously. Fire can lead to burst pipes that can lead to flooding. 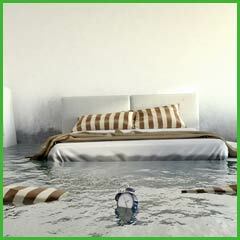 The presence of water in the house can severely damage the property and can lead to contamination and mold growth. Also, it can get into the structure and lead to permanent damage to the property. It is of utmost importance that water leakage be handled at the earliest to prevent flooding of the property. If you are facing fire damage in Fort Lauderdale, FL area, we can help restore your property to its pre-damage condition. When faced with disasters, the further the delay in remediation and restoration, the worse is the impact. When you call us, we won’t ask for prior appointments or make you wait. We understand the value of every passing hour and will be there with you within minutes to help you. Don’t let fires in the property unsettle you! Call us at 954-374-6206 for quick help.